A 54-year-old woman charged with grievous bodily harm has pleaded not guilty to attacking a man at a home in Penwortham. Kim Walkden, formerly of Far Lane, Penwortham, has been charged with GBH, aggravated burglary and possession of an offensive weapon after the alleged attack last month. Kim Walkden, 54, of Far Lane, Penwortham, has plead not guilty to attempted grievous bodily harm with intent, aggravated burglary and possession of an offensive weapon. But Walkden plead not guilty to all charges at Preston Crown Court on Monday, April 8. The defendant did not make an application for bail and has been remanded in custody. 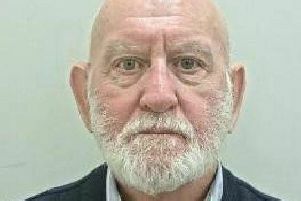 The case has been listed for trial by jury at Preston Crown Court on September 3.